The court granted defendant's motion to stay pending its petitions for inter partes review because the potential simplification of issues, stage of the case, and lack of undue prejudice favored a stay. "[I]t is likely that a stay will simplify the issues in this case because the vast majority of requests for inter partes review are accepted and in virtually all of the cases in which final written decisions have been issued, the PTO has cancelled some or all of the challenged claims. Although [plaintiff] contends entry of a stay is premature because the PTO has not yet decided to grant the petition for review, it does not point to any deficiencies in [defendant's] petition that might result in rejection of the petition. . . . [T]he case is likely to be streamlined even if no claims are cancelled because of the estoppel provisions of 35 U.S.C. § 315(e), which will estop [defendant] from asserting that surviving claims are invalid on grounds that were addressed during the inter partes review." The court granted defendants' motions for judgment on the pleadings that plaintiff's in-app purchase gaming patent contained an unpatentable abstract idea. "A patent need not . . . preempt an entire field to run afoul of § 101; instead, the question is whether the patent 'would risk disproportionately tying up' the use of the abstract idea. . . . According to [plaintiff], because the claims are directed to methods which use a programmed computer to effect twelve specific concrete steps, the claims do not wholly preempt third parties from very generally using a computer for gaming or allowing players to purchase additional objects during a game. [Plaintiff] does not explain, however, how the claim leaves any meaningful space for a third party to practice the abstract idea of allowing a user to purchase an object for use in the course of game play. Limiting the abstract idea to the field of video games is not enough to make the concept patentable." After finding that counsel had engaged in abusive discovery tactics, the court ordered the parties' to obtain their clients' consent before proceeding with any further discovery motions. "Counsel have been engaged in discovery abuse and abusive litigation practices, and I will not tolerate it. . . . [B]efore filing a motion or brief, the lawyers must meet with their clients . . . and obtain their clients’ direction to proceed. All discovery motions and briefs filed in connection with discovery matters must contain a certificate that . . . the client expressly directs that the action be taken. . . . Each client involved in a discovery dispute must appear in person at any hearing concerning the dispute. In the case of a corporate client, the president or chief executive officer must attend. . . . In the event I award a monetary sanction in connection with the discovery dispute, I will award it against the client in view of the certificate that the client directed that the action be taken." The court denied defendant's motion in limine to preclude evidence regarding the PTO's rejection of defendant's petition for inter partes review of one of the patents-in-suit. "Defendant argues that introducing evidence of the PTO’s rejection of Defendant’s inter partes review petition would be irrelevant because the legal standards applicable to an inter partes review are different than those that apply here, and that it would increase the complexity of the trial and confuse the jury. Any potential confusion can be addressed by appropriate jury instructions on the standard of proof applicable to patent invalidity defenses and counterclaims." The court granted defendant's motion in limine to exclude the opinions of plaintiff's reasonable royalty expert because the expert based his opinion on an arbitrary baseline rate. "[Plaintiff's expert] does not even attempt to compare the [patent-in-suit] to the agreements that he asserts establish a baseline royalty rate for that patent. . . . Nor did [he] account for how the litigation context of his 'baseline' licenses was affected by the litigation from which they arose. . . . [He] simply assumes that the litigation licenses represent 'the lowest royalty rate or the ‘floor’ for compensation for the accused infringer’s authorized use of [plaintiff's] patent rights that [plaintiff] is willing to accept even without the assumption that the patent rights are valid and infringed . . . .' This ignores that a litigation defendant may pay simply to 'avoid the risk and expense of litigation.' While settlement licenses may be considered, the patentee has the burden to prove the comparability of the licenses." The court denied defendant's motion for relief from a judgment of more than $391 million based upon the PTAB's non-final decision during CBM review that the asserted claims were unpatentable. "Defendants assert that the PTAB has issued a non-final decision that the asserted claims are invalid. Of course, on the other hand, there is a final judgment in this case finding that the claims are valid. . . . Defendants have taken advantage of a full and fair opportunity to litigate the validity of the patent before this Court, before the jury, and before the Federal Circuit, even pursuing a writ to the United States Supreme Court. To hold that later proceedings before the PTAB can render nugatory that entire process, and the time and effort of all of the judges and jurors who have evaluated the evidence and arguments would do a great disservice to the Seventh Amendment and the entire procedure put in place under Article III of the Constitution. . . . Defendants rely heavily on the amount of the judgment in arguing for a stay. However, the jury’s damage award has been closely reviewed by both this Court and the Federal Circuit and found to be proper. There is also no showing that the amount of the judgment would cause undue harm to the Defendants." During a conference call, the Board ordered additional briefing on the patent owner's intent to file a terminal disclaimer of the remaining term of the challenged patent to avoid application of the broadest reasonable interpretation standard. "Patent Owner stated that it intends to file a terminal disclaimer of the remaining term of the [challenged] patent, such that the patent will be expired and the Board should not apply the broadest reasonable interpretation standard to the challenged claims. Patent Owner requested authorization, if the terminal disclaimer is filed, to file a motion to terminate the proceeding on the basis that the Board applied the broadest reasonable interpretation standard in the decision to institute this inter partes review. . . . Petitioner asserted that Patent Owner should have raised the issue in its response when Patent Owner had the opportunity to state how it believes the challenged claims should be interpreted. . . . The present situation appears to be an issue of first impression in inter partes reviews. As such, we are persuaded that briefing from the parties is warranted. . . . In their papers, the parties should state what action(s), if any, they believe the Board should take with respect to the terminal disclaimer and with respect to this proceeding in general." The court denied defendants' motion to dismiss plaintiff's declaratory relief action for lack of subject matter jurisdiction. "A real and substantial controversy existed when [plaintiff] filed suit. Defendants had sued a number of [plaintiff's] customers, based in part on their use of the Android platform developed by [plaintiff]. Defendants did not, however, name [plaintiff] as a defendant. This tactic of targeting the customers instead of the manufacturer 'infects the competitive environment of the business community with uncertainty and insecurity.' In response to the uncertainty caused by Defendants’ actions, [plaintiff] filed this declaratory judgment action to 'clear the air of infringement charges.'. . . [A]lthough Defendants later amended one of the [customer] actions to implicate [plaintiff] directly, they accused [plaintiff] of infringing only three of the seven of the patents at issue here. . . . Because the patent owners failed to 'grasp the nettle and sue,' [plaintiff] was justified in bringing the present action." In Determining Royalty Base, Accused Infringer Need Not Make or Sell the "Smallest Salable Unit"
The court denied plaintiff's motion to exclude the opinions of defendant's damages expert as to the smallest salable patent-practicing unit. "[Plaintiff] asserts that [the expert's testimony] should be excluded because [the expert] uses the baseband processor chips as the royalty base rather than the entire accused iPhones and iPads. . . . [Plaintiff] can point to no case that requires the smallest salable patent-practicing unit to be made or sold by the accused infringer. [Plaintiff] responds that [defendant], and not a third-party chip maker, participates in the hypothetical negotiation. However, in approaching a reasonable royalty negotiation with [plaintiff], [defendant] may well use the price of the baseband processor chips made by a third party as the starting point from which to apportion the patents’ value. . . . Interpreting the smallest salable patent-practicing unit doctrine to require that the accused infringer make or sell the smallest salable patent-practicing unit would, in circumstances where the accused infringer makes a multicomponent end product and the component manufacturer is not joined, render the smallest salable patent-practicing unit doctrine ineffective. 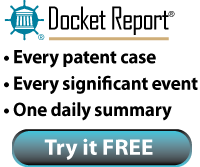 A patentee should not be able to opt in or out of the smallest salable patent-practicing unit doctrine based on its decision of whom to sue." The court denied defendant's motion for summary judgment that plaintiff's turbo coding telecommunications patent was invalid for claiming unpatentable subject matter. "[Defendant] argues that Claims 1 and 10 do not meet the transformation prong of the MOT test because the 'mere manipulation of data' is insufficient to do so. . . . To characterize the methods disclosed in Claims 1 and 10 as 'calculations' based on well-known formulae misunderstands the fact that the claims in the [patent] are 'inventive application[s] of [ ] principle[s that] may be patented.' The claims explain how to perform a particular method of error correction and decoding -- they do not simply identify an abstract idea and instruct the reader to apply the idea. . . . the purpose of the [patent-in-suit] is to disclose a method for more accurate and efficient data transmission. . . . [The challenged claims] meet the eligibility standard under the patent laws." The court granted plaintiff's motion to strike the reports of defendant's infringement experts as to newly identified products. "[I]dentifying products 'that include DDR3 SDRAM memory' or otherwise practice the JEDEC standard is not sufficient to specifically identify products that may fall into those categories. Although identifying that a component practices a standard may be useful for proving an infringement theory across several products that contain that component, identifying a standard is not sufficient to specifically name an accused product. . . . Although [defendant] argues that identifying the standard was sufficient to put [plaintiff] on notice of the accused products practicing the standard, the Local Rules required [defendant] to do the work of identifying those products. . . . Similarly, the Court finds that identifying a product that has a different name, but which [defendant] claims is substantially similar to a named product, is not sufficient identification under the Local Rules. . . . [A]lthough somewhat more specific than identifying a product based on practicing a standard, [defendant's] identification of a 'series' of products was not sufficient under the Local Rules to identify the products within a series, as the infringement contentions did not identify each accused product as specifically as possible." The court denied defendant's motion for summary judgment that it did not induce infringement of plaintiff's drug buffer patent because there was a question of fact regarding deliberate indifference. "In order not to infringe or induce infringement, [defendant] 'has carved out any instruction in its label to dilute its product with the sterile diluent [that implicates the patent-in-suit] or any other high pH glycine buffer.'. . . [Plaintiff] argues that [defendant's] label implicitly instructs to use the sterile diluent [that implicates the patent-in-suit]. . . . [T]hat language alerts a practitioner to research those bloodstream infections for precautionary measures. In fact, [defendant's] label refers to a CDC survey about such infections and the CDC survey easily leads practitioners to review the medical research concerning the CDC survey. One such article found in the research . . . recommends using the FLOLAN® diluent to prevent bloodstream infections. Hence, the label circuitously leads the practitioners to infringe the ‘007 patent. This argument by [plaintiff] presents a fact question as to whether [defendant] is implicitly inducing infringement through deliberate indifference." The court denied plaintiffs' motion to dismiss defendant's noninfringement counterclaims for lack of an actual case or controversy after plaintiffs provided a covenant not to sue. "Plaintiffs’ argument is premised on the assumption that without the actual threat of an infringement lawsuit concerning the [patents-in-suit], [defendant] has no cognizable legal interest in seeking judicial review of whether it has infringed these patents. But this argument fails to account for the reality that as a later ANDA filer, the FDA cannot approve [defendant's] ANDA to market a generic version of [plaintiffs' drug product] until the first filer’s 180-day exclusivity period is either forfeited or runs out. . . . [Defendant's] counterclaims could potentially trigger the first ANDA filer’s 180-day exclusivity period. This would have the effect of expediting [defendant's] ability to market its generic version of [plaintiffs' drug product]. Accordingly, this Court holds that [defendant's] counterclaims present a substantial controversy appropriate for judicial review." The court granted defendant's renewed motion for Rule 11 sanctions against plaintiff for its frivolous assertion of one of the patents-in-suit. "[Defendant] argues that [plaintiff's infringement claim] is objectively baseless because: (1) the specification states that digital information is 'non-printed'; and (2) the specification disclaims 'electronic books.'" . . . [T]here is a threshold below which a claim construction is 'so unreasonable that no reasonable litigant could believe it would succeed,' and thus warrants Rule 11 sanctions.' In the present case . . . although [plaintiff's] proposed definition for the term 'book' is reasonable, its definition for 'printed' -- to encompass 'any configuration in which information is presented for direct human perception' -- is astonishingly broad. [Plaintiff] argues this construction based on a single sentence in the specification which recites, '[p]rinted work may be a work of any configuration in which information is presented for direct human perception.' The next sentence, however, reads that, '[t]hus, for example, in addition to a cloth- (or other hard-) bound, or soft-bound book, work may be a magazine, or other paper based media sufficient to carry an electronic memory device as memory chip and allow its operable interconnect to access unit.' This passage does not equate 'printed works' with electronic media in support of [plaintiff's] infringement position. . . . [Plaintiff] was not 'objectively reasonable under the circumstances.' Sanctions, therefore, are warranted." The court granted defendant's motion to dismiss for lack of subject matter jurisdiction with respect to plaintiff's claim that a drug manufacturer defendant would infringe plaintiff's drug patent if another defendant's ANDA was approved. "[W]hether [movant] actually manufactures the generic [drug product] is speculative because the FDA has not approved the ANDA product; and secondly, the Court may rule in [plaintiff's] favor in this case. Both outcomes are unknown at this time, and it is premature to speculate as to [movant's] future role. . . . While the safe harbor provision protects [movant] from being sued, the Declaratory Judgment Act, if one accepts [plaintiff's] argument, would allow suit. When interpreting two conflicting statutes, the 'more specific statute controls over the more general one'; hence the Hatch-Waxman provision controls." The court granted in part plaintiff's motion in limine to exclude the valuation of an agreement "which settled prior patent litigation under the [patent-in-suit] . . . and included non-exclusive, cross-licenses." "[Plaintiff] argues that the potential probative value of the . . . Agreement is dubious, since the agreement includes [plaintiff's] payments for the [cross-licensed] patents, rather than simply reflecting the economic footprint of the [patent-in-suit]. . . . [I]t does not appear that the [agreement] is uniquely relevant and reliable, not because it was arrived at in a litigation setting, but because it was arrived at by an effort to value cross-licenses. . . . The mere fact that it appears to be the only such license available does not justify its admission. . . . [Defendant] is free to make a proffer demonstrating that the [agreement] is in fact uniquely relevant and reliable, and the parties may refer to the fact that the [agreement] creating a cross-license arrangement, including use of the [patented] invention, exists, but the actual value of the license in that agreement is excluded." The court granted in part plaintiff's motion to exclude the testimony of defendants' damages expert based on a flawed lost profits apportionment methodology. "[Defendants' expert] relied upon an apportionment factor of 16.7% to identify the portion of Defendants’ profits that should be attributed to Defendants’ unlawful conduct. In arriving at this percentage, [he] relies upon the testimony of [plaintiff’s national sales manager] and the report of . . . an expert who was subsequently withdrawn by Defendants. Despite a lack of experience in this area of marketing, [defendants' expert] essentially combined [their] testimony . . . and settled on five factors of demand for the product at issue. He then added a sixth factor, the effect of the alleged unlawful activity. Most troublesome, he then attributed equal weight to all six factors in creating his apportionment formula. There is no evidence in the record that supports this calculation. Therefore, the Court finds that the calculation of damages based on this apportionment theory is flawed and is not admissible." The court sustained plaintiff's objection to the magistrate judge's claim construction order which did not construe all disputed terms. "[T]he Magistrate Judge did not construe all of the claim terms in dispute. That neither party offered a proposed construction that the Magistrate Judge found acceptable is not a sufficient reason to leave disputed terms without interpretation. Nor did counsel's failure to address these claims at oral argument or in their agreement constitute waiver. . . . Furthermore, the terms presented are technical in nature and the Markman opinion offers no basis to support a finding that they would be readily understood by an average fact finder. . . . That these terms would be understood by a person of ordinary skill in the art does not mean that construction is unnecessary. Instead, the Court should base its constructions on what such a person would understand those terms to mean. . . . [W]ith respect to construction of [the unconstrued terms] . . . the order of the United States Magistrate Judge be, and it is hereby, vacated. The Court will issue its own order with respect to those claims after review of the briefs on file." The court granted plaintiff's motion in limine to exclude evidence of nonfinal reexamination proceedings, but precluded plaintiff from arguing a presumption of validity to the jury. "Telling the jury that the patent has been called into question by the patent office may significantly influence the jury’s determination of the issues of infringement and invalidity. . . . To understand the difference between the two proceedings, [plaintiff] would have to offer argument and evidence to the jury on the different evidentiary burden before the patent office as well as the different claim construction used by the examiner and then explain how these differences impacted the reexamination proceeding. Presenting this additional information will waste valuable judicial resources and jury time and would only serve to confuse the jury. . . . However, the court finds that it would be prejudicial to [defendant] to allow argument and instruction on the [patent-in-suit’s] presumption of validity because the 'rationale underlying the presumption of validity is much diminished where the evidence before the factfinder was not before the PTO during the examination process.'" Following a jury verdict of $1.1 billion, the court granted plaintiff's motion for enhanced damages, but ordered only a 23% penalty. "[T]he Court believes that four of the Read factors support an award of enhanced damages (factors 1, 2, 7 and 9), four of the factors are neutral (3, 5, 6, 8), and one of the factors weighs against an award of enhanced damages (4). . . . [W]ith reference to [the infringer’s size and financial condition] . . . the Court does not believe that [defendant] is sufficiently capitalized to sustain an award of double or treble the current damages award. . . . Such a significant penalty would effectively value the infringement at a rate of nearly fifty percent or one-third of the current market capitalization of the entire company. Based on the historical data of the stock price and the decline of same when the jury’s verdict of $1.169 billion was announced, the Court can logically infer that the stock price and market capitalization would again decrease if such a significant penalty was imposed. . . [Defendant's] financial condition does not support an enhancement and strongly counsels against enhancing damages to the degree requested by [plaintiff]." The court granted plaintiff's motion for a preliminary injunction precluding defendant from selling its smartphone keyboard product and found plaintiff established irreparable harm. "[Plaintiff] has convincingly shown that [its] keyboard designs are a key driver of demand and goodwill for [its] phones. [Defendant's] keyboard directly targets the segment of smartphone users that prefer a physical keyboard, the market in which [plaintiff] competes. . . . To the extent that [defendant] succeeds in allowing users to replace their phone for 'typing and correspondence' with [defendant's] keyboard coupled with an iPhone, it likely does so at the expense of [plaintiff]. . . . I reject [defendant's] contention that [plaintiff] is not irreparably harmed because it is already struggling and losing market share. To hold otherwise would prevent struggling companies from obtaining injunctions at the time when they may be the most vulnerable to harm from infringing conduct."